FRANKFURT (Reuters) -- Volkswagen Group does not expect the German government to make tax demands to cover revenue losses related to the carmaker's diesel-emissions cheating scandal, a company spokesman said on Saturday. In Germany, motor vehicle taxes are tied to the volume of carbon dioxide emissions, among other things. VW Group, Europe's largest carmaker, has admitted it used emissions-cheating software in a scandal that tarnished its image and left it facing billions of euros in fines and settlements. Last year, VW Group promised to make up for tax revenue losses in Germany related to the wrong classification of vehicles, but it now expects the government to refrain from seeking back taxes, the spokesman said, confirming a report in German weekly magazine Der Spiegel. The finance ministry said the final amount of motor vehicle tax could only be calculated when the regulatory authorities had made their assessment and added that further steps in this case are confidential under tax rules. 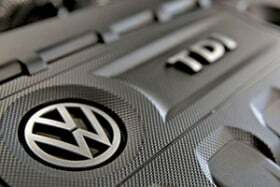 Germany's Federal Office for Motor Vehicles is still due to publish a report on the results of new emission tests on VW Group models. VW brand and its labor unions on Friday agreed to cut 30,000 jobs -- 23,000 of which will be in Germany -- in exchange for a commitment to avoid forced redundancies in Germany until 2025. A senior German lawmaker on Saturday called for top VW executives responsible for the emission-cheating scandal to return bonuses. The German state of Lower Saxony, which owns 20 percent of voting rights in the automaker, as well as former chairman Ferdinand Piech should press for bonuses to be returned, Michael Fuchs, a vice parliamentary faction leader from the conservative CDU party, told RedaktionsNetzwerk Deutschland. The VW spokesman declined to comment on bonuses.